I can understand the view of the fan who, frustrated over another disappointed season by his team, finds no interest in the postseason. And I know what it’s like to see your team, which seemed destined — even a lock — for the playoffs at the All-Star break, fall short on the final day of the season. But as much as I love college football, I can’t let go of baseball. I love October weekends of football-full days and playoff baseball nights. And if you love the national pastime, it doesn’t get much better than last night. The Brewers’ walk-off win over the Diamondbacks was remarkable in its own right, but the nightcap — Cardinals at Phillies, Chris Carpenter vs. Roy Halladay — was pretty close to perfection for a fan of the game. 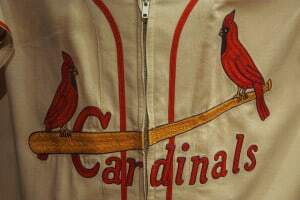 As a Mets fan, sure, I probably had a greater rooting interest for the Cardinals. But even in a series in which I bear little ill will against either team (the upcoming ALCS between the Tigers and Rangers falls into that category), I tend to develop an affinity for one team over the other during the course of the game or the series. But anyway: last night. While Arizona and Milwaukee were in the 10th inning at Miller Park, Rafael Furcal stepped to the plate in Philadelphia to start Game 5 of that series and tripled to open the game. A triple is exciting whenever it happens, but the first batter against Halladay, when half the ballpark might be expecting him to flirt with a no-hitter in a must-win game? A thing of beauty, particularly when you realize that the leadoff runner on third doesn’t necessarily mean a run against an ace like Halladay. Just look at Game 2, when Furcal led off with a triple and Cliff Lee stranded him there by retiring the next three Cardinals. Halladay wouldn’t be so lucky. The next batter, Skip Schumaker, battled Halladay in a 10-pitch at-bat, culminating in a double to the right-field corner to bring home Furcal. It had the makings of a big inning, but Halladay then bore down to get out of the inning with just the one run scoring. With an ace like Carpenter on the mound for St. Louis, one run might be enough. If you’re a Cardinals fan, you hope so, but you want more, just to be safe. While the Phillies lineup might not be the efficient juggernaut it appears to be (it relies more on the three-run homer than manufacturing runs), at home at cozy Citizens Bank Park a home run can change the game in a hurry. And that’s what made this game so great: Every batter the rest of the way was a big one, an important one. Every out Carpenter recorded brought the Cardinals closer to the NLCS; every baserunner the Phillies got — there were just five — brought them closer to tying the game on a double or taking the lead on a homer. In a 1-0 game, every pitch matters to the team trailing. So while I may not be able to watch my favorite team this postseason, after one week I’ve already been able to see three thrilling winner-take-all games that have had me creeping closer to the edge of my seat with every pitch in the late innings. There hasn’t been a day without baseball yet this October, and tonight the ALCS begins with one of the few pitchers better than Halladay this year, Justin Verlander, putting his stuff up against the formidable Texas lineup in its own hitter-friendly home. Would love to invite you to our ballpark (Now named TD Bank Ballpark) again next season. It looks like the last time you were here was in 2004? Please reach out to us next April, and we can set you up with some tickets in exchange for some blogging about the Somerset Patriots!